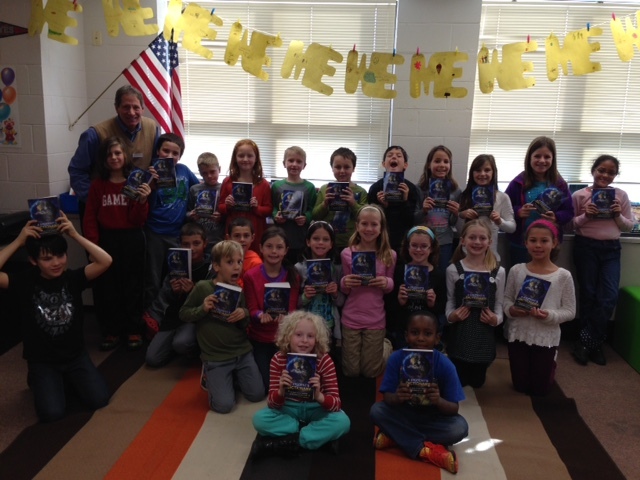 Rotary distributes dictionaries to Mr Ritz's third grade class at Gurney. Perry Clark was honored to do this for his grandson's class. His name is Owen Denton, next to Perry in the red shirt.